Established in 1976, the North County Women’s Soccer Association offers women of all skill levels the opportunity to have fun and stay fit on the pitch with FIFA rules, professional referees, convenient playing times, and well-maintained fields in the City of Poway. We play on Saturdays from late January into early June. Women aged 30+ are eligible, and we include two 25-29 year olds per team. 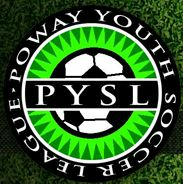 Follow us on Facebook and Instagram: @PowaySoccerWomen and @SanDiegoSoccerWomen. Teams are always looking for new and experienced players. Submit a Player Interest Form today if you are interested in joining a team for the upcoming season!